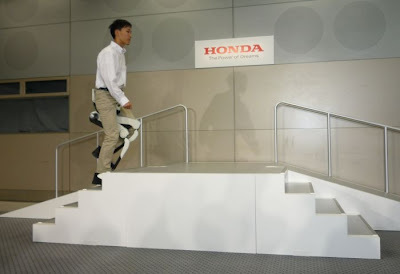 Honda has just unveiled a new device to help fatigued walkers. 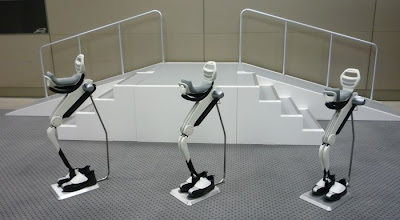 It works by supporting the person’s body weight to reduce stress, particularly on the knees, and can even assist in stair climbing. 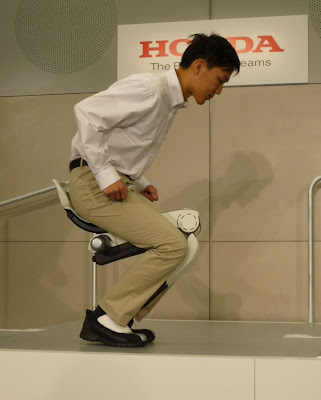 The device is designed for people who stand for long periods of time in factories or who make deliveries where long walks make up a significant proportion of their day. It’s rather like bicycling. 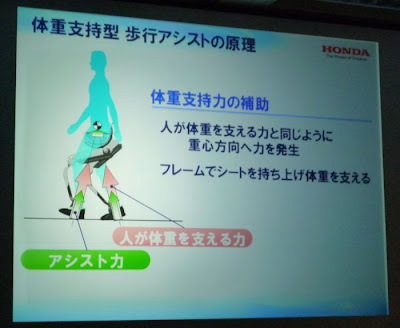 You mount the contraption and the system’s computer, motor, gears, battery, and sensors all work together to help you move your legs. 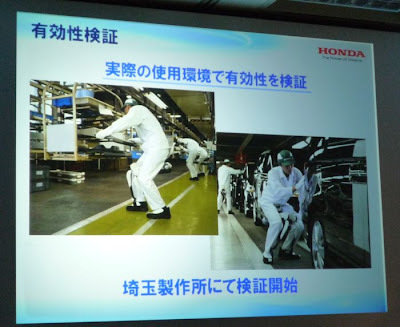 Honda plans to put a prototype into an assembly line factory to test it. 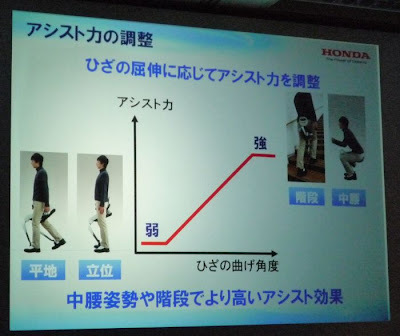 The company has invested in mobility research as the potential market for an aging population is huge.